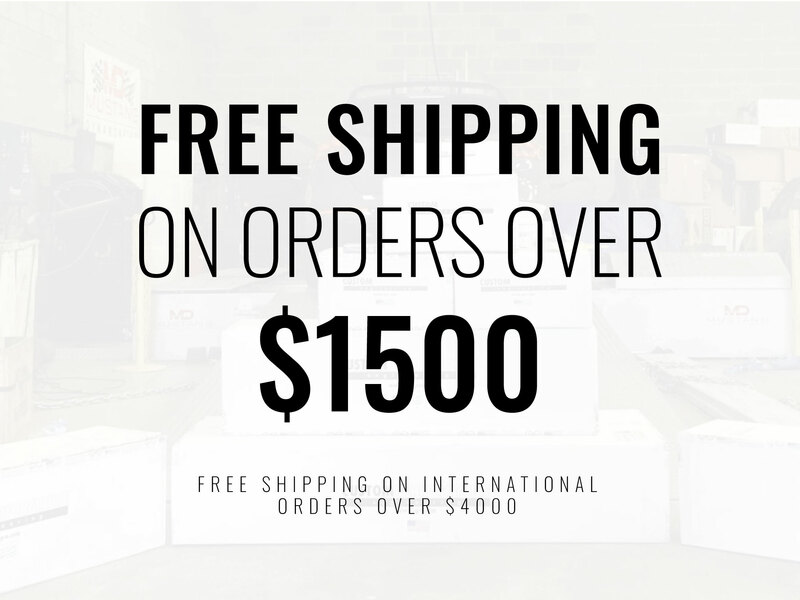 Purchase this product now and earn 31 BoostBucks! 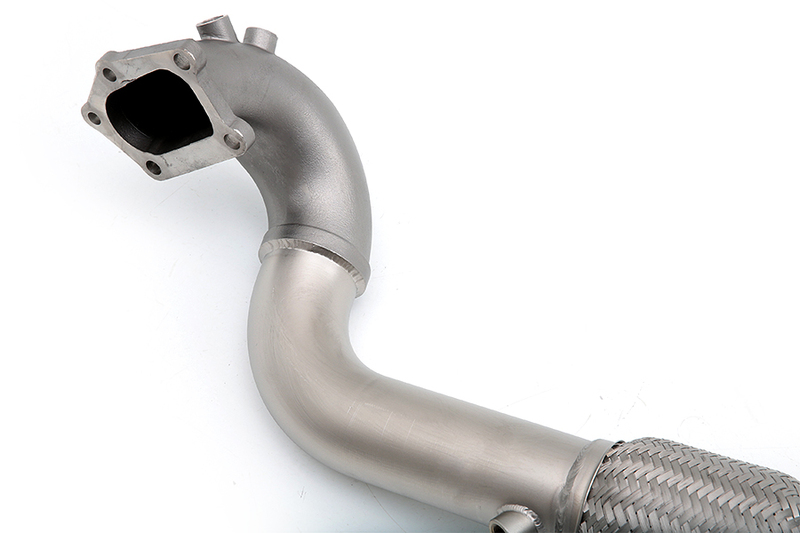 Custom Performance Engineering is very pleased to announce the release of our new 3″ downpipe for the Mazdaspeed3! 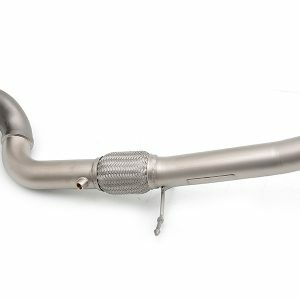 The cp-e™ MS3 downpipe replaces the choked factory pipe and its two restrictive cats with one high-flow cat and a 3″ mandrel bent pipe. 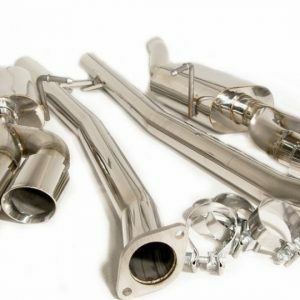 The catalytic converter features a high-flow, all metallic honeycomb design, making it one of the most durable converters on the market. 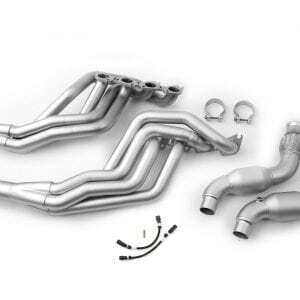 The result of our efforts is reduced backpressure, decreased turbo spool time, increased horsepower and a more aggressive sound. 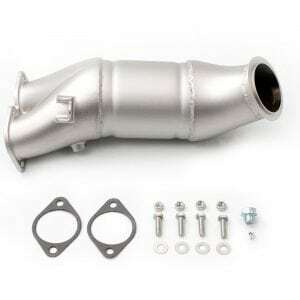 For the greatest dose of great sound and power, option for the downpipe without a catalytic converter, though keep in mind that a cat free downpipe is for off-road use only. 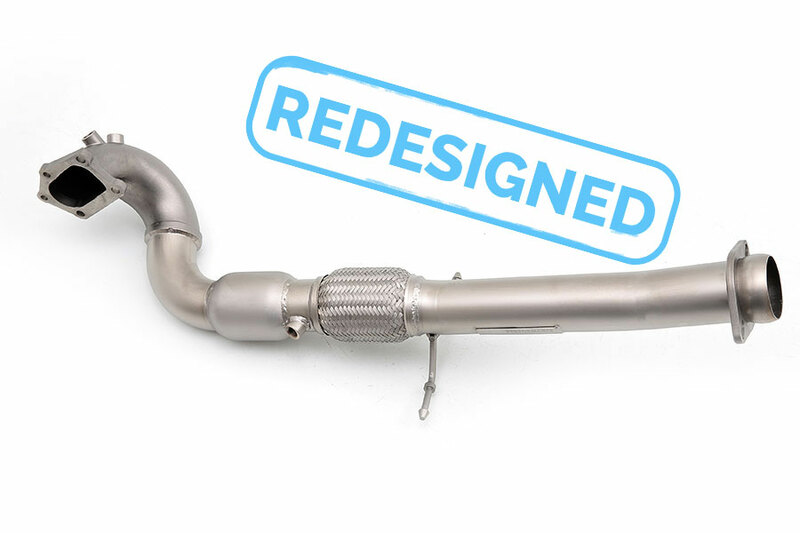 The cast bellmouth piece on the downpipe ensures smooth flow and transition. The downpipe includes three Oxygen Sensor bungs – two for the factory sensor and another to add an aftermarket wideband. 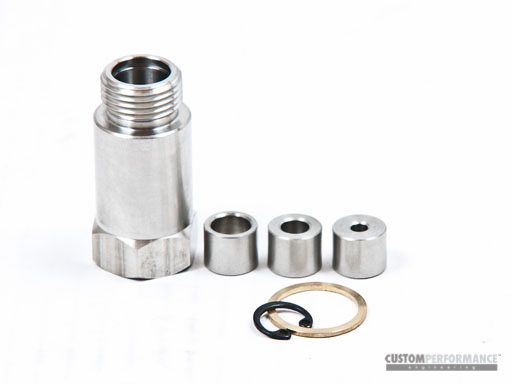 Our Off-road version also includes the cp-e™ Tunable O2 Sensor kit to eliminate the unwanted check engine light. A fourth O2 bung option is available. 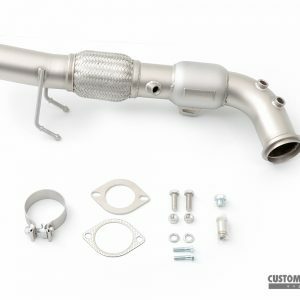 This option is also useful for those who are looking to run a stock-frame turbo with an external wastegate on our LTRmani™ Turbo Manifold. 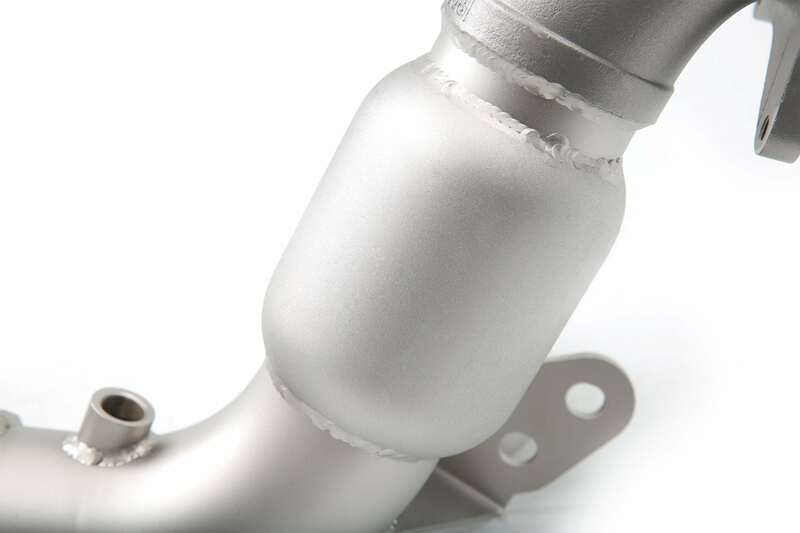 IF you already have our downpipe and are interested in this additional bung, contact us at support@cp-e.com or (301) 576-6142.